On August 19, 2014 something exceptional happened. Queen Elizabeth II of England finally granted a posthumous pardon to Alan Turing (1912-1954), convicted in 1952 for homosexual acts. Thus ended a long process of the British state to apologize to one of its most outstanding scientific figures of the twentieth century, whose contributions had a historical impact. During World War II he played a key role in helping the Allies to decipher the secret communications of the Nazis. And before that he had launched an idea that transformed computers into the powerful and versatile machines they are today. Today computers do much more than computing. Computer was the name given to those people skilled in doing numerical calculations, and in the nineteenth century this term started to be applied to machines, which began to replace humans in these tasks. These machines calculated faster and faster, especially in the twentieth century when their gears were replaced by electronic components. However, primitive computers had the disadvantage of being built to solve one particular problem. Their circuits had to be changed in order to use them for another purpose. It was like that until 1936 when an English mathematics student, Alan Turing, thought that a computer could solve any problem —provided that the problem could be translated into mathematical expressions and then reduced to a string of logic operations with binary numbers, which fit only two decisions: true or false. The idea was to reduce everything (numbers, letters, pictures, sounds) to strings of ones and zeros and then use a recipe —a program,—to solve the problems in simple steps. The digital computer had been born, but for the moment it was still only an imaginary machine. After the Second World War, during which he helped crack the Enigma code used to encrypt the messages of the Nazis, Turing created one of the first modern-style computers, that in addition to being digital was also programmable; it could be used for many things just by changing the program. His machine soon became obsolete, as happens now; computers have continued to double their computing power every year and a half, as predicted by Gordon Moore in 1965. Turing only saw the first electronic brains. He believed that computers could even think and, with the right software, do things like chatting, without us being able to distinguish whether it is a person or a computer. No one has yet managed to create a program that passes that test, the Turing test. At age 40 he had opened the field of artificial intelligence, but in 1952, at the peak of his scientific career, he was arrested and convicted of gross indecency for a homosexual relationship. 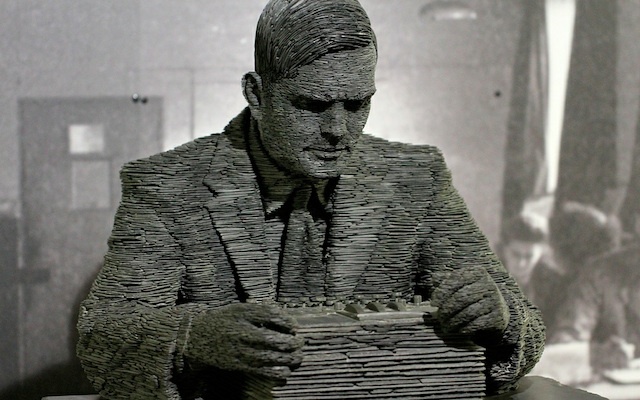 Turing was also denied access to the facilities of Bletchley Park, the UK’s cryptographic central site, where he had worked during World War II. To avoid jail time, he chose to undergo treatment to reverse his natural impulses, even though he knew that it was not logical. Two years after starting this supposed cure by chemical castration, Alan Turing made a much more complex decision for which his genes had not been programmed; he committed suicide on June 7, 1954. That is what the police investigation determined. According to the autopsy the cause of death was cyanide poisoning, and next to his body a bitten apple was found. The researchers concluded that Turing had injected cyanide in the apple before biting it. But the apple was never analysed, leaving open other possibilities, such as the accidental inhalation of cyanide, which Turing was apparently using for an experiment in his room. If there are doubts about the suicide of Turing, much less clear is that he would decide to end his life because of his conviction and treatment by chemical castration, which was completed a year before his death. Nor is there any evidence to confirm that the bitten apple logo of the Apple company (which again revolutionized computing in the 1970s) is a tribute to Alan Turing. The coincidence of the rainbow stripes of the original Apple logo with the gay pride rainbow flag feeds that hypothesis, but Steve Jobs denied that to be the origin of the emblem: “We wish it was,” the company founder said to writer and actor Stephen Fry. The real tribute came from his colleagues, who in 1966 began giving the Turing Award, a Nobel equivalent for computing science. At the end of the twentieth century, recognition of the figure of Turing began to be much more widespread. And in 2009, then British Prime Minister, Gordon Brown, officially apologized to Alan Turing for the way he was treated. It was a reaction to an online petition that was seeking a royal pardon. The initial political reticence and complexity of the procedures delayed the measure to restore the honour of Turing, and it did not come in time for the centenary of his birth in 2012. 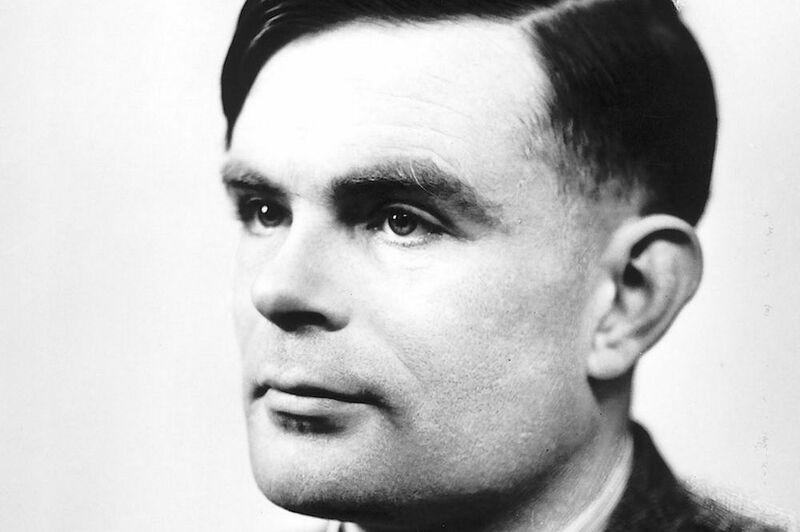 The royal pardon arrived in August 2014 with the purpose of “remembering Turing for his contributions during the war and not for his subsequent criminal conviction.” It was a symbolic and exceptional measure, since pardons are usually granted only if the offender is technically innocent. As well, the royal decree of Queen Elizabeth II launched another process; in February 2015 the family of Turing asked for a posthumous pardon for the other almost 50,000 men convicted in Britain for their homosexuality, which was a crime in that country from 1885 to 1967.